I am flying through the pages this year! I’ve really made a point of making time for reading, either by turning off the laptop and/or TV earlier, or picking up my book as tea cooks. It really goes to show that just the odd page here and there soon adds up to fully read books! 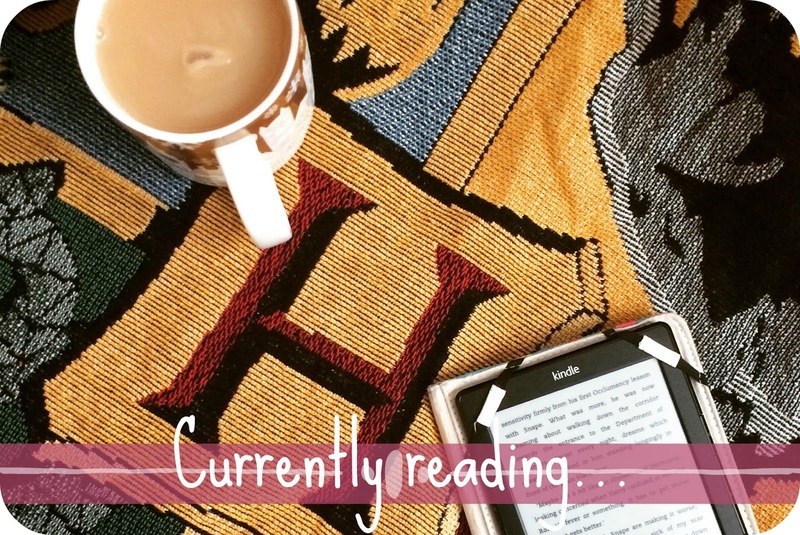 Let’s have a nosy at my latest reads! Having re-watched the film recently, when I noticed this book on the shelf in the library it felt a little like fate to pick it up and see how the page translated on screen. I was actually really surprised how close the film and book are, that doesn’t happen all that often! The book was as magical as I expected, a fairy tale for adults that they can tell their children. Gaiman has a brilliant ability to drive a story, everything moves at the perfect pace and he ties up all the loose ends and story arcs in the end, a happily ever after with a little less Disney-esq cheese on top. I’ve been wanting to pick up some Bradbury for a while now but my local library shelves are less than inspiring when it comes to the sci-fi greats. This was the only Bradbury on the shelf at the time. Not a bad read, a little confusing to follow at times, but a really great run up to Halloween read none the less. Hands down one of the most life changing, thought provoking books I’ve read this year! I actually gave it a whole post here, where you can read exactly why Daring Greatly has given me so much to think about. Wanting to continue to expand my exploration into sci-fi, how could I ignore one of the greats themselves? I really want to read his Foundation series but our library doesn’t seem to have the first one! In searching for it, I found this and the premise really intrigued me. A 63 year old man is transported hundreds of year in the future, where Earth has discovered it’s not alone in the universe, in-fact it’s seen as very small and insignificant by the rest of the galaxy. Earth isn’t all that happy about being deemed the lowest level on the evolutionary ladder, oh and once you hit 60, you’re euthanised so that the youngsters can have your share of food and space on an ever crowded planet. There’s also brain experimentation and mind control powers, incase it wasn’t sci-fi enough for you! If a book could make you fall in love with writing, Big Magic is it. Not only did it give me the writing bug back, but it really taught me what it is that I love about writing so much. Writing as a vocation, not a way to pay the bills, writing for enjoyment and play, not because I have to get a post out. The same theories can be applied for whatever creative outlet you choose. Watch this space because I have a much more in-depth look at what big lessons Big Magic taught me coming soon! Have you read a book recently that’s really stuck with you long after the last full stop?